Ten years ago, one visionary scientist revolutionized biological research by discovering how to convert mature cells, such as skin cells, into stem cells using four key genes. This remarkable breakthrough produced cells called induced pluripotent stem cells (iPSCs), and would eventually win the researcher, Shinya Yamanaka, MD, PhD, the Nobel Prize for Physiology or Medicine in 2012. 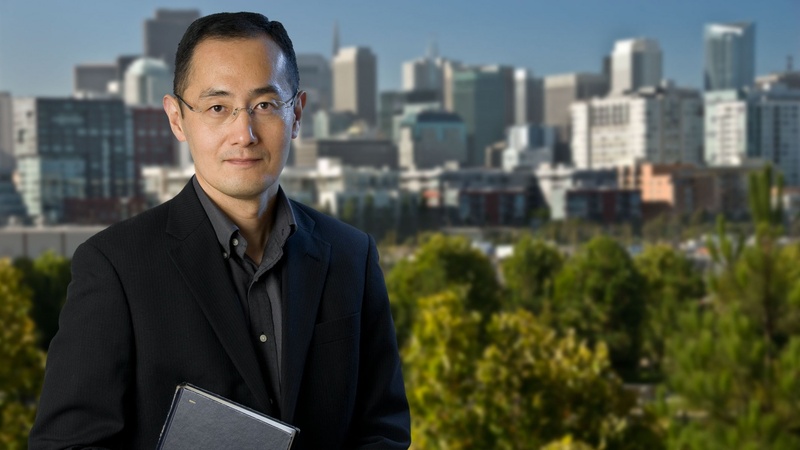 Thanks to Yamanaka’s innovation, the past decade has seen significant advances in developmental biology, disease modeling, drug discovery, personalized medicine, and regenerative medicine. Moreover, in 2014, the first clinical trial using a patient’s own iPSCs opened the door for direct therapeutic applications of the technology. Yamanaka and Kazutoshi Takahashi, PhD, a co-author on the seminal 2006 paper, reflect on their path to discovery in a recent article published in Nature Reviews Molecular Cell Biology. Looking back on the landmark finding, Yamanaka and Takahashi highlight the important research that led to their innovation, such as the work of John Gurdon, PhD, with whom Yamanaka shared the 2012 Nobel Prize. Other developments that laid the groundwork for iPSCs include research into embryonic stem cells, cloning, pluripotency—the ability of a cell to turn into many different types of cells, and cellular reprogramming, or turning genes on or off to alter its fate. “These landmark reports inspired me to search for one or more ‘reprogramming factors’ that can change a cell’s identity and convert adult cells into cells that acted like embryonic stem cells,” said Yamanaka. Yamanaka and Takahashi began their search by studying embryonic stem cells in the hope of identifying the genes that underlie essential stem cell characteristics, such as pluripotency and proliferation, a cell’s ability to replicate itself. The researchers identified 24 potential reprogramming factors—proteins that control whether other genes in the cell are turned on or off. Next, the scientists injected the candidate factors into mouse skin cells to test whether the factors could induce pluripotency. While no one factor was sufficient by itself to change the cells, the combination of all the factors did the trick, turning the skin cells into stem cells. The researchers performed a final series of experiments to narrow down the list of reprogramming factors to the essential few, settling on the genes for four factors: OCT3/4, SOX2, KLF4, and MYC. These four genes are now known as the “Yamanaka factors” or OSKM. There are several steps in the reprogramming process. First, genes that characterize skin cells need to be suppressed. Then the scientists have to activate the genes involved in pluripotency, and finally, tissue-specific genes must be repressed to prevent the stem cells from developing into more mature organ cells. OSKM work by binding to the genome at critical places, such as a stretch of genes that help determine the identity of the cell or that enhance and promote pluripotency. The reprogramming factors turn off or turn on gene expression at these spots accordingly. 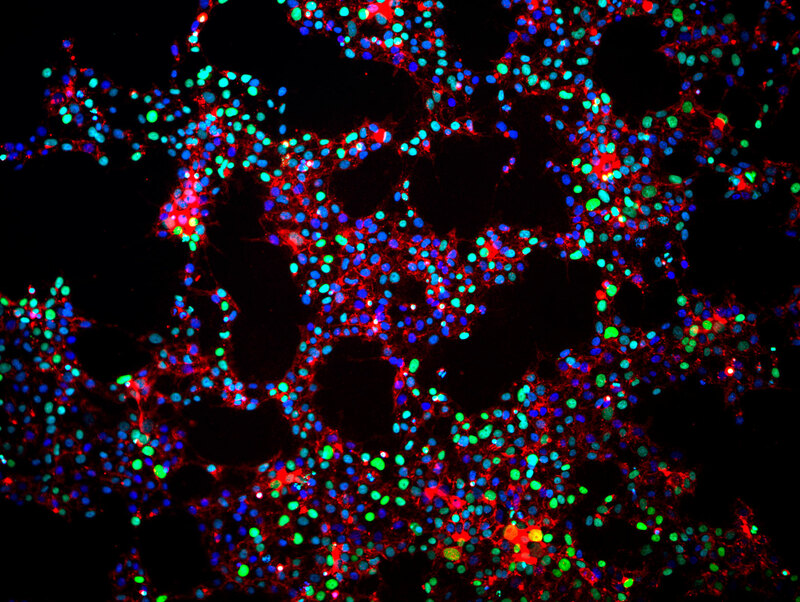 After successfully generating mouse iPSCs, Yamanaka and Takahashi began a similar search for the reprogramming factors that would create human iPSCs. Amazingly, they discovered that the same four genes worked to convert human skin cells into stem cells. Both scientists continue their research at the Gladstone Institutes and at the Center for iPS Cell Research and Application in Kyoto, Japan. Since the initial discovery, scientists have expanded on Yamanaka and Takahashi’s research by identifying factors that can be added or substituted to enhance the transition to iPSCs. For example, cellular reprogramming is an inefficient process because many of the target areas on the genome are covered by other proteins, like a childproof cap on a medicine bottle, which prevents the reprogramming factors from binding there. Follow-up research by Yamanaka and others revealed that additional substances, such as vitamin C, can help remove these genome covers and allow the reprogramming factors to bind more easily. Other scientists, including those at the Gladstone Institutes, pioneered a related technology called direct cellular reprogramming. In this method, skin cells are turned directly into brain, heart, liver, or pancreas cells without going through a stem cell stage first. This development allows for a more efficient and scalable cell production process. Critically, it also avoids the risk of cancerous cells forming from stem cell intermediates. Furthermore, direct cellular reprogramming increases the potential for reprogramming that would occur inside a patient rather than in a dish. For example, director of the Gladstone Institute of Cardiovascular Disease, Deepak Srivastava, MD, believes the day is near when he could use cellular reprogramming to treat heart disease by converting damaged heart tissue into beating heart muscle cells after a heart attack. Beyond improving the reprogramming process, current research is focused on the application of iPSCs for the study of disease and drug discovery. In animal models of disease, iPSCs have been used to treat sickle cell anemia, Parkinson’s disease, diabetes, spinal cord injuries, and heart failure. iPSCs have also contributed to advances in personalized medicine, enabling researchers to identify and test drugs on a patient’s brain cells or heart cells that are created from their skin cells and carry the same genetic mutations. These “clinical trials in a dish” have advanced the search for treatments for inherited conditions, such as Huntington’s disease, Parkinson’s disease, amyloid lateral sclerosis, and types of cardiovascular disease. Paving the way for stem cell therapy, the first clinical trials using iPSCs was conducted by Masayo Takahashi, MD, PhD, of the RIKEN Centre for Developmental Biology in Japan. Takahashi’s team transplanted retina cells made from the patient’s skin cells into the patient’s eye with the goal of treating macular degeneration. The first surgery was deemed a success, and the patient is doing well with no signs of adverse side effects. Yamanaka said, “We hope that further trials of iPSC-based therapies, accompanied by basic research focused on gaining more detailed, molecular insights into the process of cellular reprogramming itself, will result in unveiling the full potential of iPSCs in the next decade.